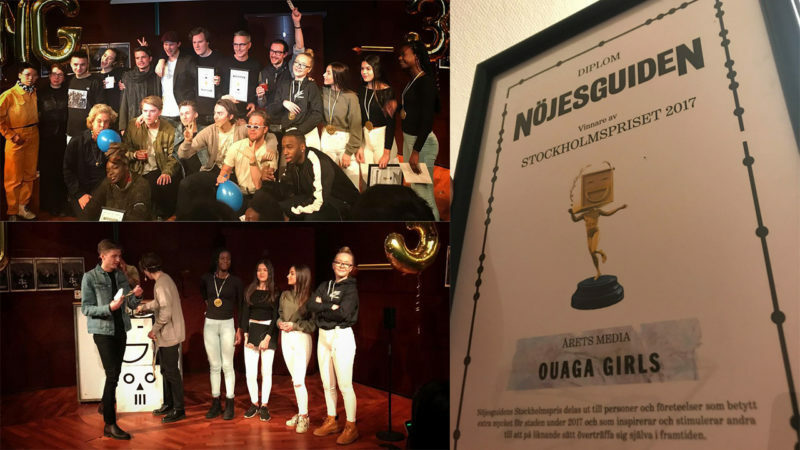 Big thanks to Nöjesguiden who awarded OUAGA GIRLS to the Stockholm Prize for Media of the Year! Since the director Theresa Traore Dahlberg wasn’t able to attend, the prize was collected by Leona, daughter of producer David Herdies, and her best friends Ana, Dalia & Daisy. Congratulations to the whole team of Ouaga Girls for a wonderful award!